Link. Published on March 19, 2017 by Mark Johnston. Photo of the day - 4 Feb 2016 - and some new music! New music! "Winter Solstice Procession", celebrating the return of longer days and looking forwards to Spring. Audio previews available now at http://www.markjsmusic.com/music/. Coming soon to iTunes/Apple Music and CDBaby. 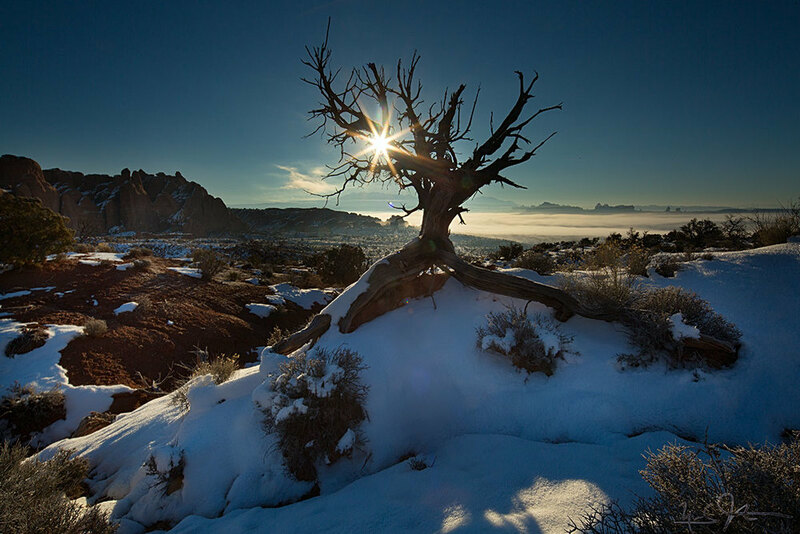 This image was taken on the day of the Winter Solstice in December 2013 in Arches National Park near Moab, Utah. Link. Published on February 04, 2016 by Mark Johnston. The sun rises over a fog-filled Salt Valley in Arches National Park, Utah on the shortest day of the year in the Northern Hemisphere: 21 Dec.
A very silent night - the only sound I heard were some owls calling. Link. Published on December 24, 2013 by Mark Johnston.